All our vehicles are rigorously repaired and inspected before hitting the road. For more than 25 years, Canvec Leasing has been offering a customized, professional and efficient rental service of semi-trailers and trucks in Quebec, in Ontario and in the Maritimes. Our inventory of rental semi-trailers is one of the largest of its kind and allows you to always find the vehicle that meet your requirements in terms of storage and transport. 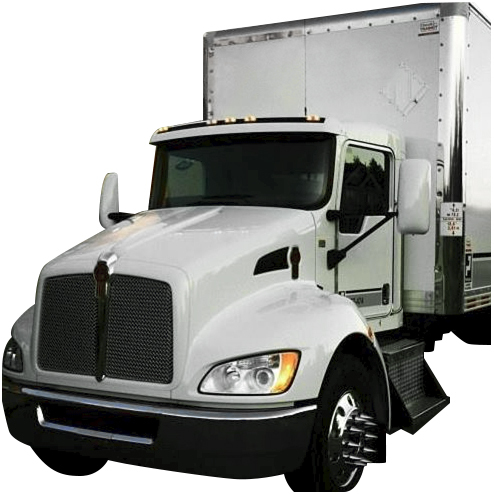 Our mobile units as well as our delivery and pick up service also make your operations much easier. In our society, all consumer products depend on the transport industry. From raw materials to finished products and machined parts, closed trailers are used to transport dry goods from one production site to another or to deliver them to points of sale. Reefers are the perfect solution for the food transport industry, from meat, fruit, vegetables, dairy products, and also used to deliver pharmaceutical products. Reefers offer the advantage of a fully-controlled temperature, thereby protecting the cargo from heat and freezing. Pup trailers are used for specialized transport such as delivering parcels/mail or products in the heart of a bustling environment. Canvec Leasing offers several competitively-priced trailers to store merchandise. These trailers are specially designed by Canvec to be parked on a chosen site as a warehouse for storage, short or long term. Wood, metal, turbines, steel, machinery, etc. Drop deck trailers are used to transport objects that would exceed normal height. The drop deck is therefore suitable for transporting building materials, construction equipment, etc. The double drop deck trailer is used to transport oversized objects. The double drop deck offers extra overhead space in the central section closer to the pavement. The extendable flatbed trailer stretch is useful to transport very long objects, oversize: wind turbines, high-rise structures, bridge parts, etc. The extendable drop deck trailer is used to transport oversize, very long and/or high objects: wind turbines, building structures, bridge components, etc. Container chassis to transport a container. Kenworth K370 6-wheel straight-body truck (flat nose, cab over) with 5-speed automatic transmission and 250 HP Paccar PX-6 engine. 12,000 lb front axles and 21,000 lb rear axles. 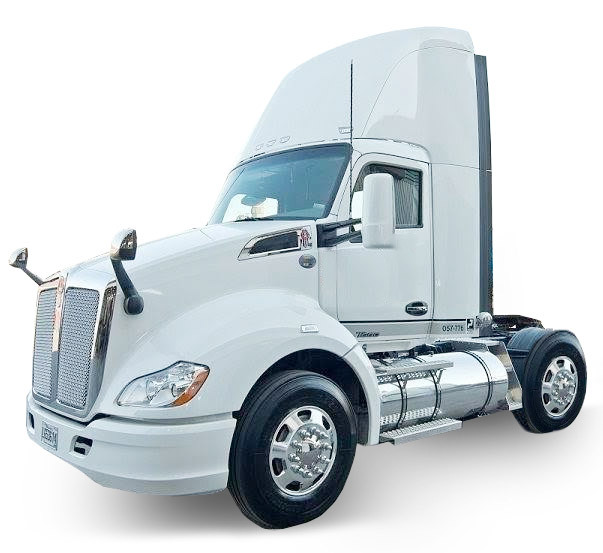 Kenworth T680 10-wheel tandem axle tractor heavy truck with 455HP Paccar MX-13 engine and Ultrashift Plus or 13-speed Manual transmission. 13,200 lb front axles and 40,000 lb rear axles.